The first look of UTV Motion Pictures’ and Red Chillies Entertainments Pvt Ltd.’s Chennai Express was launched today by Shah Rukh Khan - Actor and Producer, Red Chillies Entertainments Pvt Ltd, Ronnie Screwvala - Managing Director, Disney UTV and Siddharth Roy Kapur - Managing Director - Studios, Disney UTV at a star studded event. Leading lady of the film Deepika Padukone and director Rohit Shetty attended the gala event with all the fanfare befitting the highly anticipated release. This is UTV and Red Chillies’ first co-production collaboration. Before this, SRK and UTV have worked together on the iconic and critically acclaimed movie Swades, released in 2004. “At UTV our vision is to work with the best creative minds in the business and this collaboration with Red Chillies for Chennai Express is in keeping with that vision. We are very excited about kicking off the promotions for the film and are looking forward to the reactions to our music and trailers. Under Rohit’s superb direction and with SRK and Deepika’s standout performances, I am certain that Chennai Express will be the most entertaining experience audiences have had in a movie theatre in a long time!,” said Siddharth Roy Kapur, Managing Director - Studios, Disney UTV. “Chennai Express is one of the best stories I have worked on so far. This is a story that I have had an association with since 2008. It has been a journey in itself and I am glad we are showing the trailer today for everyone to see what we have made. It was a great pleasure to work with Shah Rukh Khan. He is an utter delight to work with and is the finest actor our country has today. Deepika is the surprise element of the film and she is easily going to woo the audience. I have always catered to family audiences and Chennai Express is a family entertainer,” said director Rohit Shetty. “We’ve had a blast working with Rohit on Chennai Express. He’s extremely clear in his approach of film making. Also, Shah Rukh would always say our next film together has to be as special as On Shanti Om. I’m glad Chennai Express happened and excited that everyone will get to see the trailer today,” said actress Deepika Padukone. Chennai Express will hit theatres worldwide on Eid - 8th August 2013. Come fall in love… Rohit Shetty style! NFDC (National Film Development Corporation) announces on 27th June, that its National Award Winner 2013- Best Feature Film - Gujarati, The Good Road, is scheduled to release on July 19th in Ahmedabad, Surat, Rajkot, Baroda, and Gandhinagar, across PVR cinemas under the Director's Rare banner. The 60th National Film Awards ceremony of the Directorate of Film Festivals presented its annual National Film Awards to honor the best of Indian Cinema in 2012, on May 3, 2013. An Award in this Category has come to a Gujarati film after a gap of 20 years, after Manvini Bhavai by Upendra Trivedi, in 1993. A modern Gujarati tale, The Good Road, is directed by debut feature filmmaker Gyan Correa. In its story based around Kachchh, Gujarat, The Good Road is a journey of three sets of people who are travelling on a highway, cutting through the Banni, bordering the Rann. They are all on a journey to achieve their respective pursuits, but over the next twenty-four hours, will discover something altogether different, something new and unexpected about their lives. Well-known actress Sonali Kulkarni (Kiran) plays the pivotal role, along side Ajay Gehi (David), Keval Katrodia (Aditya), Shamji Dhana Kerasia (Pappu), Priyank Upadhyay (Shaukat), and Poonam Kesarsingh Rajput (Poonam). The film showcases technical excellence from experts like the Oscar Award winning Sound Designer Resul Pookutty, ace Cinematographer Amitabha Singh (Chillar Party, Khosla ka Ghosla), Music Director Rajat Dholakia (Delhi 6, Mirch Masala) and Multi talented Editor Paresh Kamdar (Tunnu ki Tina, Rasayatra). ISSAQ ON 26th July 2013. Release Date : 26th July 2013. 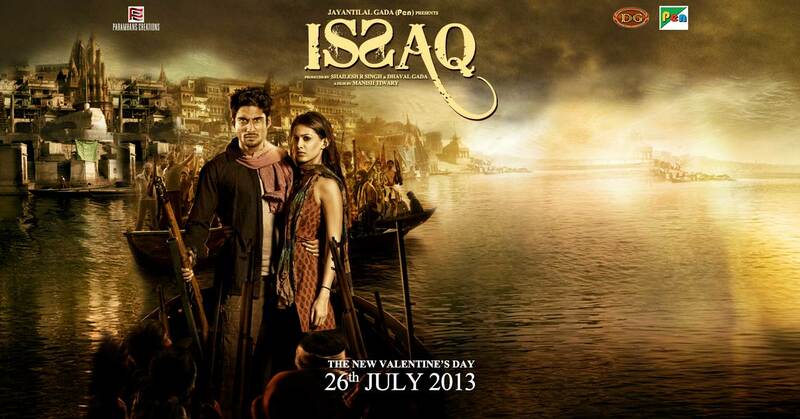 Star Cast : Prateik Babbar, Amyra Dastur, Ravi Kissen, Rajeshwari Sachdeva, Makrand Deshpande, Neena Gupta, Prashant Narayan, Amit Sial, Vineet Kumar Singh, Yogesh Suri and Malini Awasthy. Sanjay Athray aka Sanju (Emraan Hashmi), a lazy husband and a smalltime thief must foot his modern fashion crazy wife Neetu's (Vidya Balan) bills. He decides to team up with Pandit (Rajesh Sharma) and Idris (Namit Das) for a bank robbery. Trio robs 35 crore from a bank and decide that they will meet three month later and distribute the money. Sanju is entrusted with the responsibility of hiding the money but when Pandit and Idris return to collect their share, Sanju refuses to recognize them. The story of the film is very ordinary and its treatment is also nothing extra-ordinary. Parvez Shaikh and Raj Kumar Gupta’s screenplay is found to be lacking. However, the lead characters are in top form. 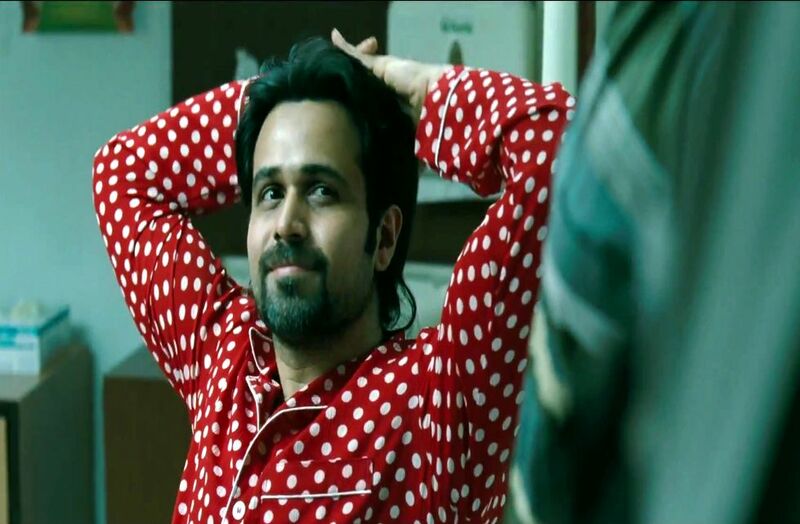 Emraan Hashmi, as a lazy husband who loves TV more, Vidya Balan is first rate as a Punjaban. Rajesh Sharma and Namit Das are brilliantly in support. Pravin Dabas is satisfactory in cameo. Raj Kumar Gupta directs a quasi-realistic urban comedy-thriller highlighting absurdity and a few laugh, most notably hilarious being the sequence of bank robbery, where the actors imitate Amitabh Bachchan, Dharmendra and Utpal Dutt. The length 137.47 minutes is too long. The ending is rushed, abrupt. Amitabh Bhattacharya’s lyrics are good and music by Amit Trivedi is average. Lazy Lad and Allah Meherban are useful. Cinematography by Setu is passable. Aarti Bajaj is weak in editing. The production values are good. Technically, average. The publicity was good. At the box office, the film opened with average response and audiences are appreciating good sense of comic timing and performances of Vidya Balan, Emraan Hashmi, Rajesh Sharma and Namit Das and there is a fair chance that the film will recoup the investments. BHAAG MILKHA BHAAG is an upcoming Indian biographical, sport movie on the former Indian athlete Milkha Singh. The film has been produced and directed by Rakeysh Omprakash Mehra. The script of BHAAG MILKHA BHAAG, is written by Prasoon Joshi. The film stars Farhan Akhtar and Sonam Kapoor. The film is slated to release on 12th July 2013. Banner : Susi Ganesh Productions Pvt. Ltd.
Jobless Suraj (Neil Nitin Mukesh) is thrown out of his family home in Goa and sent packing to Mumbai, where he finds Monica (Ameesha Patel) the unfaithful wife of wealthy businessman Rahul (Rajesh Shringarpure) having a sexual relationship with her golf-trainer Ashish (Jatin Garewal). He shoots Monica in the act and starts blackmailing her. Suraj begins to live lavishly and he invites three friends over. 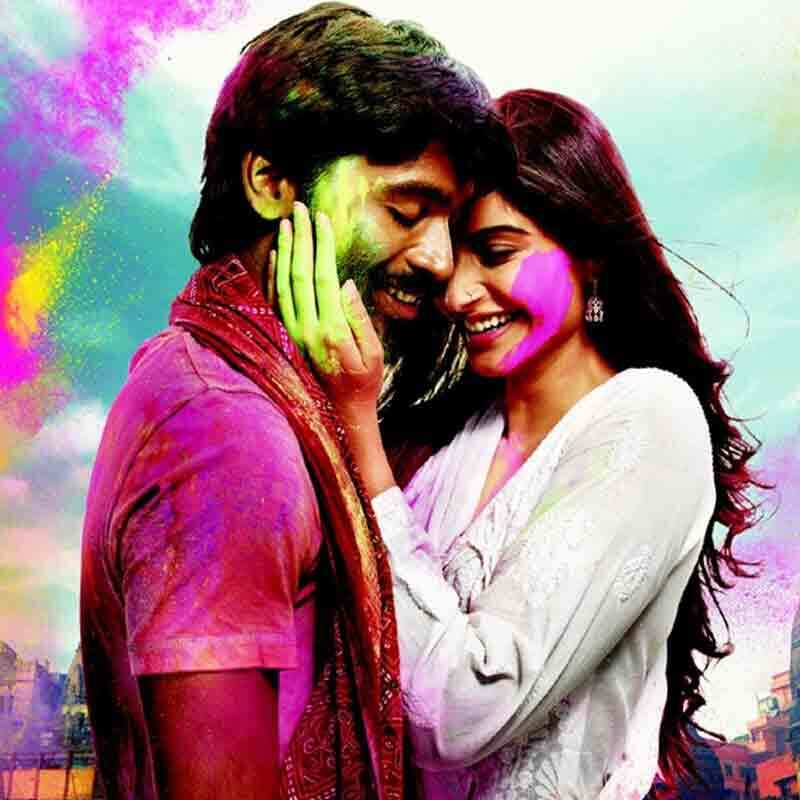 They go on a vacation to Kenya, where Suraj falls in love with a girl masquerading as Sherry. But Sherry’s real name is Radhika (Puja Gupta) and she was put up for the job by Monica. When Sherry disappears, Suraj realizes that he would prefer to live a truthful life for the sake of love, even in the face of torture. By now, Rahul thinks that his wife Monica is having two affairs with Ashish and Suraj. He confronts Ashish and kills him. In the climax, he also kills Suraj. This a remake of the film-maker Susi Ganesh’s own successful Tamil film THIRUTTU PAYALE. Sadly, the writer-director forgot to rework the concept to make the story contemporary and suitable for our times. Performance-wise, Ameesha Patel is alright. Pooja Gupta is impressive. Neil Nitin Mukesh has an earnest approach. Rajesh Shringarpure is efficient. Jatin Grewal is passable. Vrajesh Hirjee provides a few laughs in his little role. Errol Peter Marks, Ashutosh Kaushik and Meherzan Mazda are adequate. Susi Ganesh appears as Suraj’s childhood detective friend, is appropriate. Anuradha Chandan, Yashodhan Bal, Kavita Wadhawan, Neelima Parandekar, Mohit Saluja, Rakesh Kirit Kadakia, Sultan Siddique and Naveen Prabhakar are okay. Mumaith Khan performs well in an item number. Susi Ganesh’s Hindi debut vehicle as a writer-director features an ordinary screenplay and dialogues are dull. Himesh Reshammiya’s Khali Salaam Dua (lyrics by Shabbir Ahmad) is memorable. Cinematography captures Kenya’s Masai Mara well good but it is more irrelevant to the main plot. Actions by Silva and Kanal Kannan are alright. Editing by Dilip Deo and Hardik Singh Reen are okay. Production and technical values are average. The publicity was good. At the box office, the film faces an uphill struggle. Tamil Bramhin Kundan Shankar (Dhanush) lives in Banaras, develops a crush on the Muslim Zoya (Sonam Kapoor). Kundan proposes but the Zoya rejects and slaps him and she goes away to study. Eight years later she returns but she is in love with student leader Akram (Abhay Deol). On the wedding day the truth comes out that Akram is not Muslim and he is a Hindu, by the name of Jagjeet Singh. He is beaten and he dies. Kundan traces Zoya to Delhi where Kundan becomes a victim of political conspiracy and is killed. The story is romantic thriller on a political backdrop is written by Himanshu Sharma. Love, emotion, comedy and action drama are combined with social & political issues. 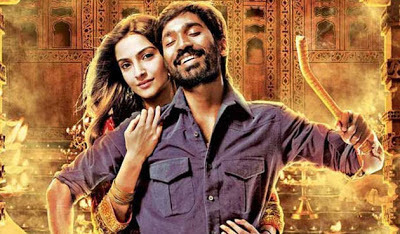 Performance-wise, Tamil actor Dhanush is debuting in Hindi and he performs well. Sonam Kapoor looks convincing. 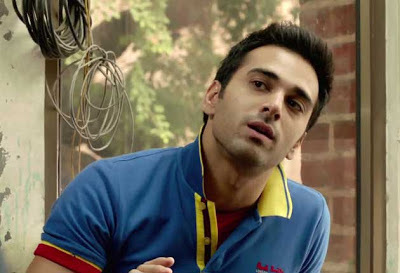 Abhay Deol, as Sonam`s love interest in a tiny role is justified, but as a college student he seems miscast. Mohammad Zeeshan Ayyub as Kundan’s friend Murari and Swara Bhaskar as Bindiya are brilliant. Kumud Mishra, Vipin Sharma, Sujata Kumar, Arvind Gaur, Shilpi Marwaha and others are adequate in support. 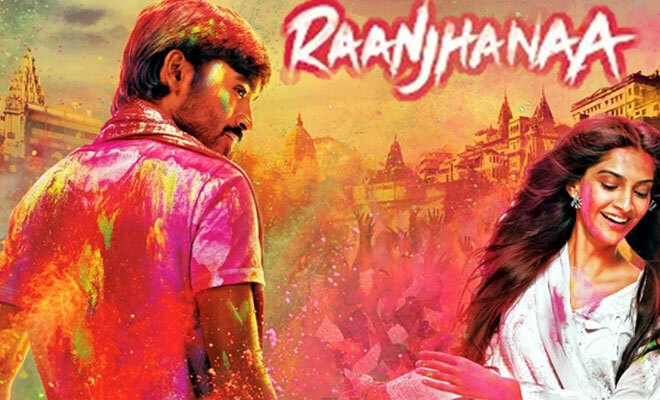 Director Aanand L. Rai has repeated his writer from TANU WEDS MANU but he failed to extract a good script. Especially, the second half is weak. Politics has been inserted forcefully into an otherwise good romantic script. The first half is fair and makes for an interesting, intense, introspective love story. The entire score for songs as well as the background bear the hallmark of A.R. Rahman. The cinematography by Natarajan Subramaniam and Vishal Sinha are superb. Editing by Hemal Kothari is sharp. Production values are very good. Technically, sound. The publicity was excellent. At the box office, the film has opened to average-plus houses and might pick up on word of mouth publicity, especially amongst family audiences over the weekend. The revenues from overseas and sales of satellite rights will be a likely bonus. of the organized crime syndicates take shape. They live their Tapori life and being used by police as informer, by politician as brings public for his support and illegal business man Haji to run his business. Fakeer dreams of becoming a taxi driver in Dubai, Suleman aspires to become a politician and ghhotu Mobile wants to set up his mobile shop. Fakeer is ready to leave Nagpada and his friends are going to drop at airport. The underworld don’s shooter kills them. The film opened with poor response. Four student Hunny (Pulkit Samrat), Dilip aka Choocha (Varun Sharma), Lalli (Manjot Singh) and Zafar Bhai (Ali Fazal) are living careless life and wish to pass their exam and want to get a seat in a good college. They meet college guard Panditji (Pankaj Tripathi) for upcoming examination paper, who demands fifty thousand for a leak question paper. Choocha and Hunny have god gifted with a unique potential, on Choocha’s the former dreams Hunny forms a lottery ticket number and win easy money. To arrange quick money they went to lady don Bholi Punjaban (Richa Chaddha) for an initial money. By fake dream their plan fail and to recover her invest money Bholi uses them to sell drugs in a rave party. On the spot police comes but they somehow escape. Zafaer’s love interest Neetu Singh (Vishakha Singh) helps them and they makes money. They become police witness and let's get Bholi arrested.